Landspeed New Zealand is grateful to the following partner organisations, without whom we wouldn’t be able to bring you world class events. 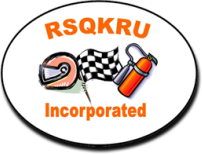 RSQKRU are one of New Zealand’s finest safety crews, and have provided marshaling for the New Zealand Jetsprint Association, Rally New Zealand, and various circuits around the country. We are lucky to have them on-board as the safety crew for our events. Former 80’s Motorcycle racer now media & event technology specialist Steve Knowles came along to help capture our inaugural Goudies road event. Mobicomm make sure our marshals, timing crew, traffic management and event control all stay connected, despite the long distances involved. Talk to them about your communications needs. Road Safe, a traffic management company serving the Bay of Plenty, can assist with all aspects of traffic management planning. We appreciate their assistance with our events. Good bookkeeping is essential for any organisation, and we are lucky to have DRK helping us on this front. DRK have offices in Bombay and Waiuku, and they would be happy to assist you with your accounting needs. Waste Management are well recognised as leaders in their field. Talk to them about your waste needs. Motorsport Safety NZ is managed by Laurie Callender and is an independent site for all personal safety equipment.